Thursday afternoon, the President signed the 2018 Farm Bill – the Agriculture Improvement Act of 2018. After months of negotiation, the bill moved through its final stages at lightning speed: the conference committee released the text of the bill last Monday, the Senate voted on it on Tuesday, and the House voted on it on Wednesday. With the President’s signature, the bill becomes law and will guide our food and farm ecology for the next five years. We want to thank everyone who responded to our advocacy efforts and helped to achieve many of the priorities we fought for in the bill. We’re also proud to be a part of the National Sustainable Agriculture Coalition, Campaign for Contract Agriculture Reform, the National Organic Coalition, the AGree Conservation and Crop Insurance Task Force, and the National Family Farm Coalition and are proud to collaborate with many other coalitions and organizations from across the sustainable ag and ag justice communities. From the beginning of this farm bill process, our priorities have been grounded in our work with individual farmers across the country. We sought policy reforms that increase the viability of family farms, while promoting economic vitality, environmental and community health, and just and equitable treatment of all who labor in agriculture. In February, we shared where we stood on key policy areas in the 2018 Farm Bill and these priorities have not wavered. We serve farmers in financial crisis, and right now, we can say without a doubt, “status quo” is not enough. At a time when we are taking more and more extreme crisis calls and seeing frequent reporting from across the country about farm foreclosures, bankruptcies, and farm suicides, it does not seem to us to be time for “status quo.” The country is losing farmers, especially dairy farmers, at an alarming rate. While there were significant changes to dairy programs in this farm bill, this bill is too little too late for many farmers and those who will face the looming farm crisis. Alarming signs in the farm financial world point to significant financial stress across agriculture heading into the 2019 growing season. With some exceptions, the bill addresses these problems by doubling down on the large-scale, industrialized policies that got us here in the first place. We are not alone in recognizing this crisis. In this farm bill, Congress reauthorized and funded the critically important Farm and Ranch Stress Assistance Network that will provide support for organizations responding to farm families in financial crisis. Nevertheless, recognizing farmers are suffering without addressing the underlying causes isn’t good enough. Status quo is not enough. With that in mind, there are a series of good and “much better than they could have been” things in this farm bill, such as baseline funding for programs that support organic research, farmers market and local foods promotion, value-added producer grants, outreach and assistance for socially disadvantaged and veteran farmers, and beginning farmer and rancher development. Baseline funding improves the stability of programs over time and improves the chances of ongoing funding in future budgets. These programs are critical to the viability and vitality of farms of all sizes, providing insulation from the low commodity market prices driving much of the financial stress in farm communities. Direct and other higher value markets also can help new farmers access land or families to bring the next generation back to the farm. Baseline funding for these programs is a big deal and we join our partners in celebrating these wins. While we analyze what was in or out between the House and Senate versions of the bill, it is also important to remember what did not make it into either version. Farmers across sectors face mounting corporate concentration and erosion of farmer financial viability at the hands of major corporations. Common sense reforms to provide basic protections for farmers in contracts were dropped from the process during committee debates, and proposals to limit corporate power didn’t make it to the table. So, what’s in the new Farm Bill? In federal commodity programs, payment limits assured that farmers had a safety net against low commodity prices, but that they did not receive unlimited government funds to get bigger and bigger. In recent farm bills, loopholes around these limitations were tightened to make sure payments were aligned with individuals rather than business entities and limited the number of family members who could be counted toward the limitation. While keeping payment limits in theory, this farm bill essentially gutted payment limits, extending payment limits to aunts, uncles, and cousins. This change opens the door for large farms to get larger and will drive further erosion of mid-scale farms. The new farm bill maintains overall conservation spending, and provides several improvements to critical conservation programs. But the structure of the funding and how it changes over the life of the bill is troubling, and this bill misses the opportunity to provide integration between conservation programs and between conservation programs and crop insurance that would have increased the benefits to farmers, the environment, and potentially reduced costs to taxpayers. The Conservation Stewardship Program (CSP) is a critically important program that provides conservation benefits to working farmland. Most conservation programs either focus on taking land out of production, like the Conservation Reserve Program (CRP), or providing cost share for farmers to implement new conservation practices, like the Environmental Quality Incentives Program (EQIP). But at the end of the time of the bill, there are significant cuts to CSP that will place future funding of the program in jeopardy, cutting $5 billion from the CSP baseline funding heading into the next farm bill. USDA credit programs are a critical part of the farm safety net and access to farming for beginning farmers. Often small details in credit programs mean the difference between farming and not. 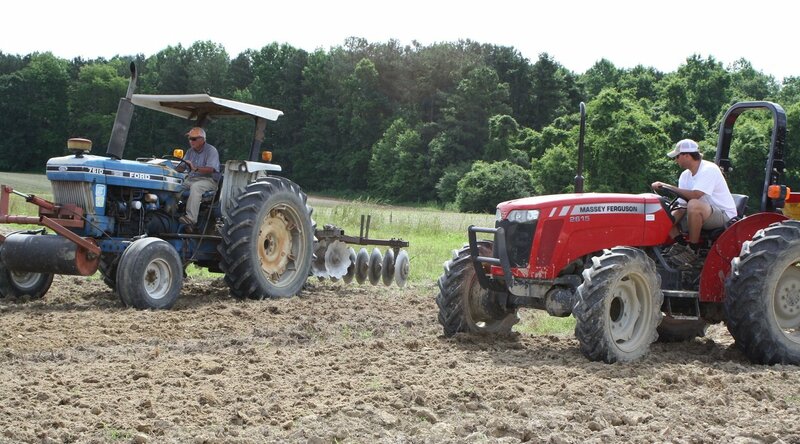 We have seen farmers approved for USDA farm ownership or operating loans having to wait for the start of the new fiscal year or for Congress to act because loan funds have been exhausted, often costing them the opportunity to farm. This farm bill provided incremental increases in loan limits for both direct and guaranteed loans and increased the amount of program authorization to $10 billion, significantly reducing the likelihood of the program running out of money and leaving farmers stranded. There were also a series of reforms in credit regulations and USDA reporting requirements that will help farmers access credit and reduce the likelihood of discrimination or abusive lending. A new program in the bill, championed by organizations that address minority-owned farm loss, will provide funding for loans to address heir property issues, such as when a farmer dies without a will and the ownership of the farm is divided among many relatives. This is a critical issue, and the new loan program is a positive step. The Crop Insurance title of the farm bill took several important steps toward fiscally-responsible recognition of the benefits of conservation and crop diversification in addressing production risk. While stopping short of recognizing USDA conservation practices as good agricultural practices in crop insurance, the bill addressed cover crop guidelines that discouraged the use of cover crops with crop insurance. The bill also took an important step toward the integration of data across USDA sub-agencies, the Farm Services Agency, the Natural Resources Conservation Service, and the Risk Management Agency to analyze and recognize the risk benefits of conservation and other sustainable agriculture practices in reducing production risk. Read more about conservation practices in crop insurance. The bill also instructed the USDA to continue and improve Whole Farm Revenue Protection (WFRP) crop insurance, the only crop insurance policy that rewards and incentivizes crop diversity and recognizes the importance of high value markets like direct or specialty markets. Another important step forward is the reauthorization of the Non-insured Crop Disaster Assistance program (NAP). This program provides crop insurance-like coverage to crops without established crop insurance policies. The bill made permanent coverage buy-up options created in the last farm bill and instructed the USDA to use NAP participation information to identify and develop new crop insurance policies. RAFI-USA has long championed basic protections for producers in livestock production contracts, such as hog and chicken contracts where the farmer does not own the animals. The bill did nothing to address these issues. The farm bill increased funding for the Organic Agriculture Research and Extension Initiative (OREI) to baseline ($50 million annually) ensuring that the programs’ research helping organic farmers be more productive and profitable will continue into the future. The bill also reauthorizes and funds the organic cost-share initiative, resources for organic import enforcement, and data collection on organic production. Unfortunately, the bill also includes two provisions that weaken the integrity of the National Organic Standards Board. Read more from our partners at the National Organic Coalition here. The bill reauthorized and funded a series of critically important research programs for organic and sustainable agriculture including the Organic Research and Education Initiative which received increased funding and new baseline, the Sustainable Agriculture Research and Education Program, the Specialty Crop Research Initiative, and the Agriculture and Food Research Initiative. In May 2017, the Trump administration announced a reorganization of the USDA which proposed funding cuts for rural development programs, eliminated Rural Development as a Mission Area, and downgraded the status of the Under Secretary for Rural Development. Recognizing the importance of this Mission Area and role, the 2018 Farm Bill requires the USDA to have an Under Secretary for Rural Development. The new Local Agriculture Marketing Program (LAMP) combines the Value-Added Producers Grants Program (VAPG) and the Farmers Market and Local Foods Promotion Program (FMLFPP) and the farm bill provides LAMP with $50 million per year in mandatory funding, giving these “tiny but mighty” programs support and stability. These programs foster market-based solutions through entrepreneurship to allow farmers to sustain their farms and reduce reliance on government solutions. 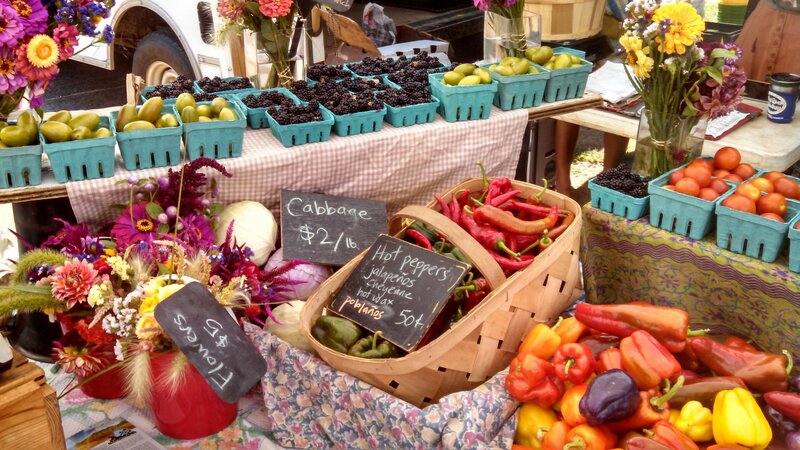 Direct and high value markets like farmers markets help farmers weather natural disasters and fluctuating prices. 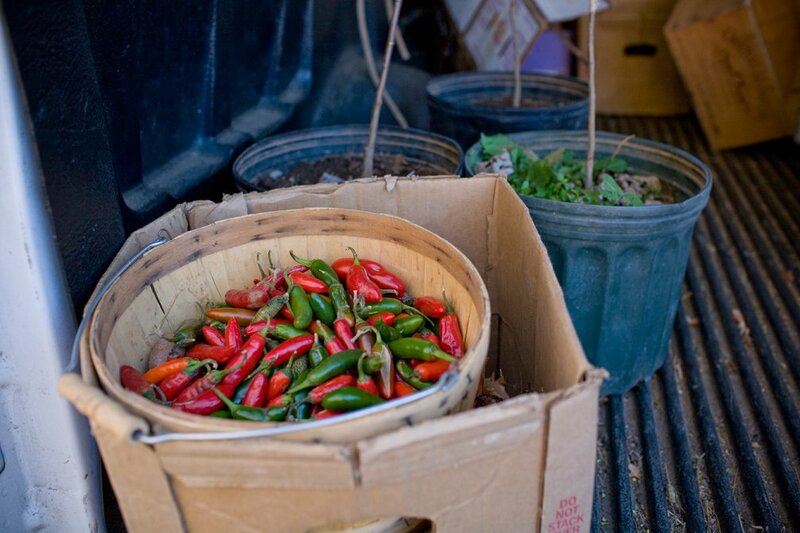 Read more about the Local Agriculture Marketing Program (LAMP). Another new program consolidation provides permanent baseline funding to grant programs that support beginning, veteran, and socially disadvantaged farmers. The Farming Opportunities Training and Outreach (FOTO) program combines and streamlines the Beginning Farmer & Rancher Development Program (BFRDP) and Outreach and Assistance for Socially Disadvantaged and Veteran Farmers Program (known as “2501”) and will support the transfer of skills and land between generations and create economic opportunity for farmers who have been chronically underserved. Access to regionally-appropriate, high-yielding seed that is well adapted to organic and sustainable agriculture is a critical piece of the sustainable agriculture infrastructure. The farm bill reauthorized the National Genetics Resources Advisory Council allowing input into the USDA’s actions to address long-term seed issues and reauthorized the National Genetics Resources Program. But the bill failed to continue critical prioritization for public plant breeding within research programs and did not provide a definition of public plant breeding under AFRI that would exclude transgenic methods. Transgenic methods, and other forms of biotechnology, have multiple other sources of funding and should not be included in the prioritization for public plant breeding. One of the biggest debates in the farm bill negotiations centered around increasing and tightening SNAP work requirements. The framing of this debate obscured the fact that SNAP already has work requirements. The proposed changes would have also forced states to develop huge new bureaucracies to track compliance and provide job training services that would be insufficiently funded to meet existing need (learn more here). Leaving SNAP largely unaltered in the farm bill was a very good thing for the millions of families who depend on it for food assistance. Unfortunately, a proposed rule from USDA seeks to make some of these changes administratively instead. One way the farm bill helps connect food insecure Americans with healthy, local food is through the Gus Schumacher Nutrition Incentives Program (formerly known as the Food Insecurity Nutrition Incentives Program, or FINI), which provides “double bucks” or discounts to SNAP shoppers when they purchase fresh fruits and vegetables. FINI has increased SNAP shoppers’ access to healthy food at farmers markets across the nation, and the 2018 Farm Bill provides it with $250 million over five years, a win for both local farmers and food insecure shoppers. Another win for local food access was a provision that instructs USDA to allow farmers markets that operate in multiple locations to use a single electronic benefits transfer (EBT) machine to accept SNAP benefits across those locations. The previous “one machine-one location” policy created financial and administrative barriers for markets trying to become more accessible for low-income shoppers. RAFI-USA and our coalition partners have been trying to resolve this issue for years and we are pleased legislators have addressed it in the 2018 Farm Bill. One of the best-kept secrets of policy work is that passing legislation is only the beginning of the process! For a policy or program to be successful, authorization (passing the law) must be followed by successful appropriation (for discretionary programs that must be budgeted for each year) and implementation. Implementation can include USDA creating the rules that will guide the administration of the program, public comment periods about the rules, and the way state and local agencies administer a program through funding announcements, outreach, application and reporting requirements, and many other small details often invisible to the general public. Local-level implementation can make or break a program. Our job going forward is to get into the weeds – working on grant applications with farmers; asking administrators to clarify program details; reading through the minute details of a proposed rule; and most importantly, listening to those who labor in agriculture to learn more about their experiences, needs, and ideas. We will continue to take those lessons to our policy work, ask questions, and advocate for implementation of the 2018 Farm Bill that promotes economic vitality, environmental and community health, and just and equitable treatment of all who labor in agriculture. We’ll do our best to keep you involved along the way. For all of our Farm Bill coverage visit rafiusa.org/farm bill. To stay involved, read our blog, follow us on Facebook, Twitter, and Instagram @rafiusa or sign up for our email list. Farm Advocate Training Module #2. When the Phone Rings: Guidelines for Initial Farmer to Advocate Conversations—This webinar explained what happens when a farmer first calls an advocate or advocacy organization.